Tonight ghosts, goblins, gremlins and all manner of imaginary monsters may knock on your door. But while Halloween is all about make believe, for some people the business of paranormal phenomenon is serious. Sally Rhine Feather is one of them. She is executive director emeritus of the Rhine Research Center in Durham. The center, founded by Feather’s father, J.B. Rhine, has been around in one form or another for 70 years. In that time, it has investigated such unexplained experiences as telepathy, clairvoyance and life after death. Host Frank Stasio talks to Feather about her work and her family’s history as researchers of the paranormal. Some things just cannot be explained, except perhaps through the paranormal. Located off West Campus, the Rhine Research Center stands as testament to Duke’s historic connection to parapsychology research, which is the study of psychic phenomena like hypnosis and telepathy. Although the center is no longer associated with the University, a number of Duke graduates and professors are involved with the center’s board of directors and advisory board. Using scientific methods as the basis for their studies, Rhine researchers seek to make sense of the unexplainable. Over the years, though, the center has dealt with criticism and doubt surrounding the credibility and legitimacy of the field of parapsychology. The Rhine Research Center aims to educate the public about parapsychology, build community around the field and provide research based on modern engineering and technological advances, Kruth said. In addition to running a museum and library, the center offers online education classes on parapsychology, brings in speakers—including former astronauts and government officials—biweekly and holds Psychic Experiences Group meetings monthly. “We study what is called ‘psi’ phenomenon, and psi is consistent with what was previously called extrasensory perception, or ESP,” Kruth said. He noted that psi consists of four different phenomena—telepathy, psychokinesis or healing, precognition and clairvoyance, also called remote viewing. Although parapsychologists focus mainly on ESP and psychokinesis studies, they also research survival cases, which are in-depth studies of individuals who have had close encounters with death, Kruth said. Parapsychology has a long history with Duke. Following Stanford University, Duke became the first major institution to study the field in an academic setting. 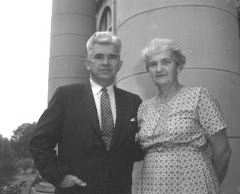 Three years after the University was established, founding scientists Joseph and Louisa Rhine joined William McDougall to research psychical studies. At the time, psychical research primarily questioned the existence of an afterlife and relied heavily on spirits and mediums. The Rhines and McDougall took a more quantitative approach, using special cards and dice machines and soliciting undergraduate students to be test subjects for experiments. “In a sense they functioned pretty much as normal scientists,” said Seymour Mauskopf, professor emeritus of the history department and member of the Rhine Research Center advisory board. In the 1930s, the center—then called the Duke Parapsychology Laboratory—was established to support the budding science of parapsychology. Joseph Rhine also created the Parapsychology Laboratory at Duke and the Journal of Parapsychology. Still, the field of study remained contentious. “By the time I came to Duke, which was in the mid-1960s, there were people who felt that Duke was being given a bad name by the association of parapsychology,” Mauskopf said, adding that he is unsure whether the laboratory’s reputation played a role in its disassociation from Duke. When Rhine retired in 1965, parapsychology studies became disassociated from the University through a mutual agreement. The new independent institution became known as the Foundation for Research on the Nature of Man. Some of the center’s largest successes include the creation of ESP cards, which were used in place of decks of cards in telepathy and precognition experiments, Kruth said. The experiments today, however, are conducted with computers or physical targets. Several experiments are currently underway at the center. Using a light lab—a darkroom with low intensity light detectors for infrared and ultraviolet light—Kruth said Rhine researchers measure the energy emitted from healers and long-term meditation practitioners. Kruth added that as far as he knows, the light lab is the only experiment of its type where researchers are using electrical engineering technology to detect human energy. Another experiment relates to electronic voice phenomena, which are recordings of voice or voice-like sounds that are not decipherable to the human ear. When the recordings are played back, some believe they can hear phrases of words. In the experiment, Rhine researchers have participants listen to 12 recordings and note what they think they are hearing, Kruth said. John Palmer, editor of the Journal of Parapsychology and a member of the Rhine Center’s board of directors, studies motor automatism—during which bodily functions or movements occur without being consciously controlled. Palmer cited Ouija boards as an example. Palmer added that in order to surpass the limitations of a conscious, rational mind, he tells participants to clear their minds, as they would do in meditation, or Palmer distracts participants by making them read quotations on a screen while doing the test. The Ouija board experiment is not meant to conjure spirits but rather is a scientific analysis, Palmer added. The Rhine Research Center also serves as a hub for people who believe in the paranormal. Kruth said the center catalogues personal accounts of people who have experienced paranormal activity via a submission form on the center’s website. Although the accounts are not used as evidence for paranormal events, they are collected and classified at the center, he said. In addition, the monthly Psychic Experiences Group meetings give people who experience psychic phenomena at chance to share in an open, judgment-free forum, events coordinator Susan Freeman said. Want to hear more about the paranormal? Daryl Bem likes to use quotes from Lewis Carroll’s, Through The Looking Glass. One of his favorites which is said to Alice by the White Queen is this, “….sometimes, I’ve believed as many as six impossible things before breakfast.” So, does Daryl Bem believe impossible things himself? Well, a large part of the scientific community thinks he does. Bem conducted a series of experiments in which he asked students to choose between two curtains presented on a computer screen. Behind one, was a picture, behind the other, a blank wall. They were asked which one they thought hid the picture. Findings were that the students were able to pick the one with the photo behind it with a frequency statistically greater than chance. And, that frequency increased if the picture was pornographic! Next, he had students look at some words, and then asked them to write down any they remembered. After that, he had them more deliberately study half the words. His findings indicated that the students better “remembered” the words they had studied after the test. That’s right---not a misprint!!! They remembered the words better that they had studied AFTER the test! And this was also statistically significant. The overall reaction to these findings was one of disbelief, and created a global debate on how these “impossible” results" could have occurred. In fact, the criticisms and scrutinizing began even before the article was actually published. When the results of Bem’s studies first leaked out in 2010, the internet began buzzing with discussions and hypotheses of what he “must’” have done wrong. The world could hardly attack Dr. Bem himself. His reputation as a researcher was lengthy, stellar, and impeccable. So, they began to find fault with his methods, his statistical analyses, and anything else they could think of. Several replications were begun. Different statistical methods were applied. There seemed to be a frantic rush to somehow demonstrate that this couldn’t be so. The media picked up on all of this, which resulted in magazine and newspaper articles being written, including one in the New York Times, and prompted interviews with Dr. Bem on television and radio, including his much discussed appearance on the Colbert Report. This is not the first time in history that someone has had the audacity to question the supposed truths of a scientific community. Remember, it was once accepted that the earth was the center of the universe! Enter Galileo-----and that poor man ended up accused of heresy, and under lifetime arrest, for daring to propose the ludicrous and “impossible to believe” idea that the earth revolved around the sun. Alas, it was later determined that he was right, and the concept was incorporated into a new world view. On Friday, July 7th, the person behind all this present controversy, Daryl Bem, was our guest at the Rhine. (I had seen him only the night before on the Science Network in a prerecorded episode of Through the Wormhole). He gave a private presentation to our research team, and then later, gave a public presentation at the Steadman Auditorium. Daryl Bem is a down to earth, unassuming, extremely likable individual. He is obviously brilliant, and communicates what he knows with ease. After listening to him, one is amazed by the amount of knowledge he has imparted in such a short amount of time. He intersperses his dialogue with humorous comments, personal quips, and interesting tidbits of related information. We at the Rhine Center have no problem accepting the credibility of Bem’s findings. We deal with issues that are considered by many as “unbelievable” and “impossible” every day. For us, his research is just a natural extension of the work begun by J.B. Rhine in the Duke Parapsychology Lab so many years ago. We applaud him for having the courage to pursue this line of inquiry. We hope his work will become the first crack in the rigid tenets of modern science, and may even lead to a serious fracture!!! Of course, we don’t expect this to happen overnight, and the debate will rage on. The implications of all of this are as yet unclear, but it’s a start. So, we don’t suggest that college students now begin studying for their exams after they’ve taken them!!! We do however suggest that orthodox scientists begin studying findings such as these, and re-evaluating their concept of what is indisputably not possible. In the end, they might just find that embracing the idea of “believing in impossible things” is the ultimate triumph after all! Daryl Bem is a social psychologist and Professor Emeritus at Cornell University. Whatever your prior view of the debate over psi, this book is an absolute requirement if you wish to be kept updated. The current status of differing views on scientific arguments for and against the existence of psychic phenomena is debated in this volume. The only risk is that it is easy to choose whom to believe and thereby find your own personal biases confirmed. On the other hand, should you be open-minded and hoping for a resolution, you may at first be disappointed with the stagnation. Nevertheless, I am convinced that the seeds for synthesis are actually there, although hard to find. Debates are actually not the best way of encouraging progress in a controversial subject. Inevitably, even without our biases, it is the most persuasive and eloquent debaters who are deemed the winners, whereas in this case the only winner should be science. It becomes then this reviewer’s difficult task to try to bring fairness back to the forefront, but ultimately in a case like this impartiality is an ambitious goal. Even so, I prefer to think that I share the attitude of most serious researchers in this area: If I am being fooled, I want the critic to tell me how. The book contains chapters written by some of the most vocal experts in this field. Dean Radin and Chris Carter are the proponents presenting the case for psi having now been established, while the critics Ray Hyman, Jim Alcock, and Christopher French take the opposing view. I am going to allow my own bias to immediately discount the chapter by Michael Shermer, the editor of The Skeptic, on the grounds that it is not science; rather, it is based mainly on his personal experiences with tarot readings, accompanied by tales provided to him by the maverick English journalist Jon Ronsson (producer of the film The Men Who Stare at Goats). The chapter does fulfill a function—as a shop-window example of what the proponents in the book complain about: arrogance, in this case assuming psychical researchers know nothing about cold reading. I shall not attempt a summary and evaluation of each chapter, because this is more than adequately provided by the editors in the form of their own introduction. Instead, I will look at the main issues per se. Harvard psychiatrist Ruth Richards provides a fair-minded introduction to the topic, after which the major contributors present their cases. The contributors then all come back for round two, rebuttals in which they evaluate their opponents’ chapters. Finally, epilogues are provided by the critic Richard Wiseman, the proponent Stephan Schwartz, and the editors themselves. The confrontation gets heated and personal at times. Frustrated at the lack of appreciation for the enormous effort they expend to fulfill the critic’s demands with the limited support available, the proponents begin to see the critics as outmoded die-hard believers in materialism. They are seen as being left behind by recent developments in quantum physics and consciousness studies. Consequently, several of the proponents label the critics now as “psi deniers,” in much the same class as consciousness deniers and climate change deniers. Whatever one thinks about this labeling, it needs to be said that while much has been written on the psychology of belief in the paranormal, very little is known about the opposing polarized disbelief. Even if it causes some offence, it is therefore of value that Carter contributes a section of his chapter under the rubric Psychology of the Dogmatic Critic (p. 96). 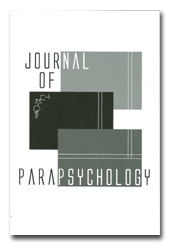 To read the whole article you can download a PDF, or subscribe to the Journal of Parapsychology. Mitch Horowitz, author and friend of the Rhine Research Center, examines the impact of this conviction and the history of the societal attitudes towards spiritual healing. Included is a link to an article published in the Wall Street Journal on Friday, July 8th, 2011. Does Time Slow Down During a Crisis? David Eagleman, an Assistant Professor of neuroscience and psychology at Baylor College of Medicine in Houston, Texas recently reported on experiments of his team that showed that despite what folks commonly experience, time does not slow down during a crisis. Nor does brain processing speed up, so that time seems to slow down. What their research shows is that during a crisis, such as a NDE, often "the part of the brain called the amygdale becomes more active, and lays down extra sets of memories that go along with the actual events." So when you play the event back in your memory, you recall time slowing down, though that is not what happened. Let’s consider another common part of a Near Death Experience, the life review. People having a NDE often report a replaying of their whole life as part of the experience. I do not want to take away from the spiritual aspect of the NDE, that is an essential part of my life. But I think a life review would be explained as a logical part of how consciousness works during a life threatening crisis, especially if we view consciousness as part of the DNA's adaptability. In an earlier blog I discussed how natural selection would need to limit PSI ability. The link is here http://rhineonline.blogspot.com/search/label/Evolutionary%20advantage. My experiences and study of Remote Viewing, and other PSI events, has led me to believe that PSI is part of the normal processing of information that constitutes consciousness. Dr. Jim Carpenter's "First Sight" model of PSI, and Dr. Christine Hardy's exploration of Semantic Constellations both describe " pre-experiential mental processes by which the mind structures all its experiences and commences all its actions", as Dr. Carpenter notes. I noticed, as I look at the mind as an evolved tool of genes, shaped by and tailored for the process of natural selection, that we can see the process of consciousness conforming also to the process of natural selection. This process requires three things, genetic variation, inheritance, and differential fitness. Consciousness provides these three things. Your thoughts, beliefs, ideas and knowledge vary and change over time, the raw materials in your brain progress and grow. Likewise, these things remain inheritable from situation to situation you find yourself in over time, that is what memory is. But it is existence of differential fitness in mental process that shows just how great thinking is as a tool evolved over time. With mental processes, the range of adaptability is vastly increased in the individual. Also, the range of solutions to problems is beyond just conscious problem solving. Research shows that subliminally, the brain is gathering and processing information, and solutions to problems can spontaneously pop into your consciousness without conscious effort. As you experience, the vast majority of what you do is initiated and carried out without your considered effort, because your mind is processing multiple systems of information constantly, subconsciously. But when you encounter a new situation, the brain scrambles to adapt to the novel environmental factor it needs to deal with. It does this by trying known solutions to similar events, and if that does not work, it goes into automatic, instinctual and "dis-associated" mode as it rapidly tries to find a way to process the new information. Getting back to NDEs, people who have had them commonly report they recall their minds experiencing multiple thought lines at once, like those reported by Albert Heim who recounted his own brush with death during a fall. It is also in these crisis moments that PSI events occur, as all available data from the mind is accessed to adapt to the potentially life ending event. If the material for thought and consciousness is being processed to insure survival, then could the "life review" be a memory data dump, a last chance attempt to access all the stored experiences of the individual, making it available for the conscious and especially the subconscious to use to come up with a last second save? Could the sense of "linear time" of the life review be, like the recalled experience of time slowing down during crisis, simply be the memory's way of organizing the entire life data file when it’s recalled later? Can you recall your life any other way? Again, I am not saying that all of an NDE is just biological processes. But the life review fits right in with an understanding of how consciousness works. It is that same understanding of the mind processes that help explain where PSI fits in, and helps me understand the dynamics involved in Remote Viewing.